Civil engineers plan, design, and monitor the construction of buildings, public structures, infrastructural facilities that include road, rails, bridges, dams and any other construction projects. It is the duty of the civil engineer to ensure that the structures constructed are durable and safe. The civil engineer decides on the design specifications after evaluating the construction site, the materials to be used for construction and the methods that the construction team needs to follow during the construction work. Developing blueprints of the design is an important aspect of the civil engineer’s work. Civil engineers advise clients on the possible design solutions and helping them to turn their dream into reality. It is the duty of the civil engineer to ensure that the construction withstands severe weather conditions or load and that the structures are environmental friendly. The work of a civil engineer is exciting since it overall project management right from the conceptualization phase to surveying of sites, planning, organizing and implementing the design solutions. 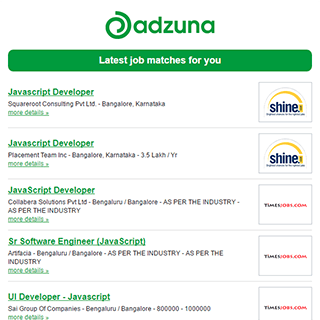 The Adzuna recency index score for this search is 1.57, suggesting that demand for Civil Engineer jobs in India is increasing. Companies presently offering Civil Engineer jobs in India include A2Z Online Services, ACE Facility Management, Aarvi Encon.. There are 2,035 Civil Engineer jobs in India available immediately, compared to 504 in Maharashtra. Get the latest Civil Engineer Jobs in India delivered straight to your inbox!